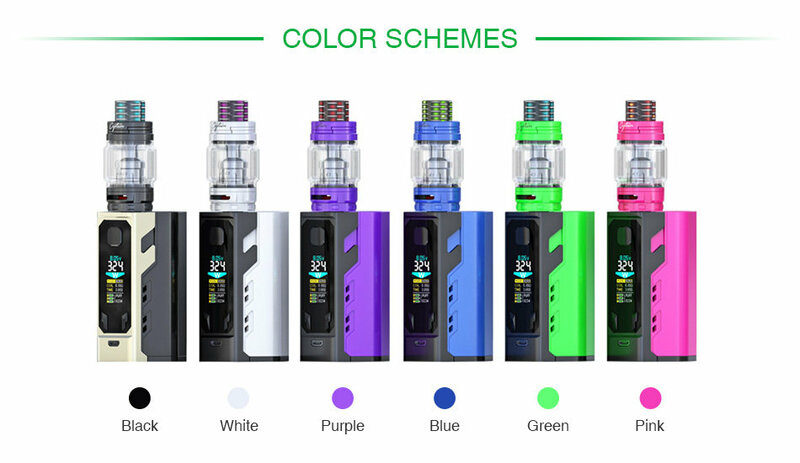 The iJoy Captain X3 324W TC Starter Kit With Captain X3 Tank includes an internal chipset capable of firing up to 324W along with a full temperature control suite with adjustments as well as Unique Custom User Mode. The Captain X3 Sub-Ohm Tank has an 8ml maximum capacity, dual slotted bottom airflow, and the introduction of the X3 Cores. With the included 18650 adapter, this starter kit is 18650 battery compatible.